Welcome to the Arrowhead Golf Condo. 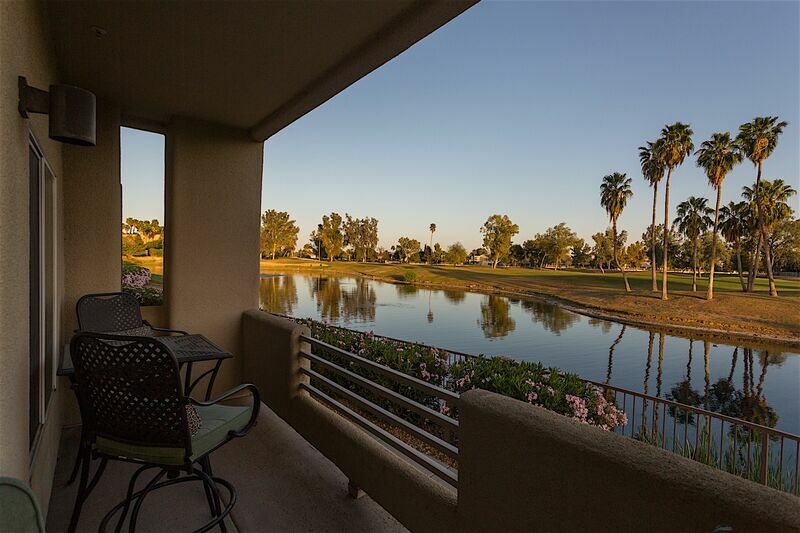 Located in North Glendale in the beautiful Fairways at Arrowhead community With views of the golf course from your patio you are sure to enjoy this relaxing getaway. This two bedroom, two bath condo is suited with everything you need while your away from home. The living room is furnished with a comfortable couch and love seat will look forward to sinking into after a round of golf at the Arrowhead Country Club. There is a coffee table, flat screen tv, and blue ray player for your use. The kitchen and dining area is just off the living room. The dining room table seats up to four guests and the kitchen is stocked with everything you need for cooking your favorite meals while you are here. This split floor plan features a master bedroom with a king size bed, side tables with reading lamps, dresser, flat screen TV and blue ray player. The en suite bathroom has a single sink vanity and shower/tub combo. The guest room is furnished with two twin beds, a night stand and reading lamp, and dresser. If you enjoy spending time outdoors you will absolutely love your morning cup of coffee or evening glass of wine on the patio. This space overlooks the golf course and views of one of the many Arrowhead lakes. You will get to experience the beauty of Arizona's sunrise and sunset from this wonderful space. If you enjoy grilling you can do it from here on the BBQ grill. Make friends at the popular heated community pool and spa. This is a ground floor unit with attached one car garage.